This is an attempt to combine the history of SEASG founded in 1967 and exist to date and AGSSEA formed in 2007. 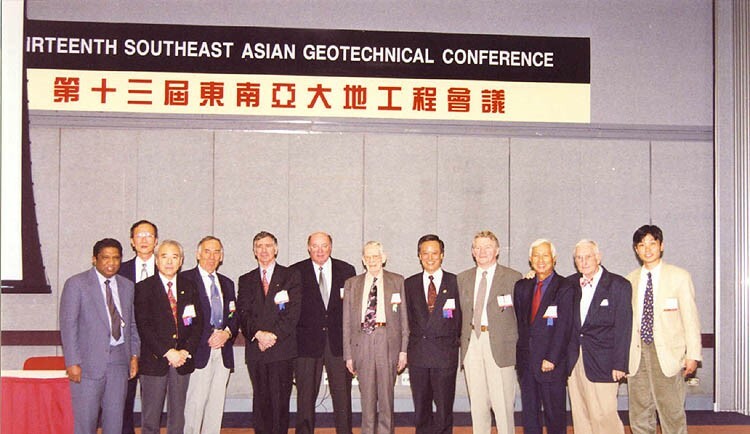 The Southeast Asian Geotechnical Society (SEAGS) was founded in 1967 by Dr. Za Chieh Moh as a regional society to cover Thailand, Malaysia, Singapore, Philippines, Hong Kong, Indonesia and Taiwan. It is affiliated with the International Society for Soil Mechanics and Foundation Engineering (ISSMFE) (Now called International Society of Soil Mechanics and Geotechnical Engineering ISSMGE), the International Association of Engineering Geology (IAEG) and the International Society for Rock Mechanics (ISRM). 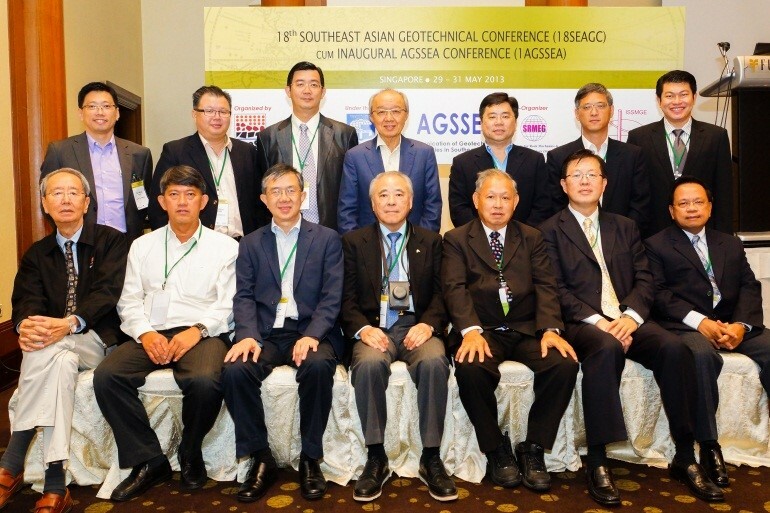 The Association of Geotechnical Societies in Southeast Asia (AGSSEA) had its origin at the 16th Southeast Asian Geotechnical Conference (16SEAGC) held in Kuala Lumpur in 2007. Currently, it has eight national member societies. They are the Southeast Asian Geotechnical Society (SEAGS), Vietnam Society for Soil Mechanics and Geotechnical Engineering (VSSMGE), Hong Kong Geotechnical Society (HKGES), Geotechnical Society of Singapore (GeoSS), Thai Geotechnical Society (TGS), Chinese Taipei Geotechnical Society (CTGS), Indonesian Geotechnical Society (HATTI) and Malaysian Geotechnical Society (MGS). The current Chairman is Prof. San Shyan LIN from the Department of Harbor and River Engineering of National Taiwan Ocean University in Taiwan. Combining the history of SEAGS which has been so active from the time of inception todate with AGSSEA is not an easy task. It was thought that SEAGS history will be presented first from 1967 to 2007 till the AGSSEA is formed. From the very inception of the Society, the Secretariat has been located at the Asian Institute of Technology (AIT) in Bangkok where much of the geotechnical engineering research in Thailand has been conducted. 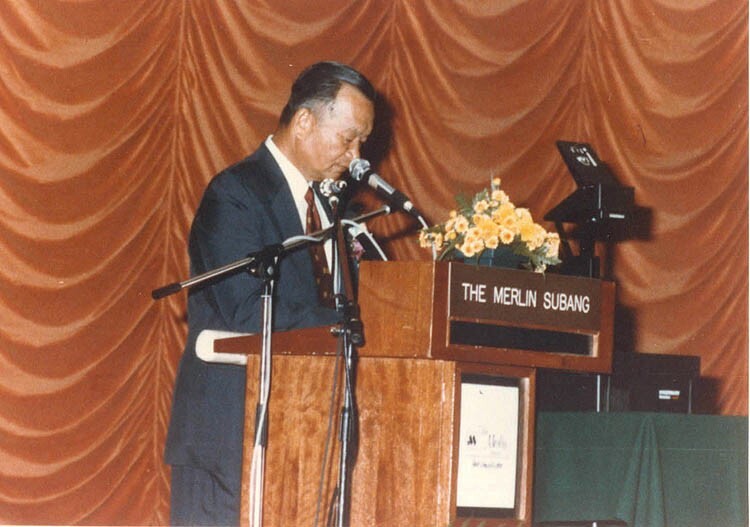 The objectives of the Society when it was created in 1967 by Dr. Za Chieh Moh was to promote cooperation among engineers, geologists and other scientists in Southeast Asia for the advancement of knowledge in geotechnical engineering. This has clearly been fulfilled over the years through periodic meetings within the region for discussion of geotechnical engineering topics, geotechnical engineering conferences, symposia, seminars and lectures held in the region, publication of a journal which contains papers of interest to geotechnical engineers, and collaboration with the International Society for Soil Mechanics and Foundation/ Geotechnical Engineering (ISSMFE/ISSMGE), the International Association of Engineering Geology (IAEG), the International Society for Rock Mechanics (ISRM) and such other bodies and societies as appropriate. One of the most important activities of the Society is the series of regional conferences held once every two or three years. These conferences are held in the member countries of the Society and offer a unique opportunity for the geotechnical engineers in the region, as well as those from outside, to meet and exchange ideas. A. Vijiaratnam and Chan Chee Wah served as Chairman and Co Chairman respectively. Mr. Michael Lee was the Secretary. Prof. Chin Fung Kee and Ooi Teik Aun were respectively Chairman and Secretary of the Organizing Committee. Dr. Ting Wen Hui and Dr. C.T. Toh served respectively as Chairman and Secretary of the Conference Committee. Asian Regional Conferences are held once in four years. 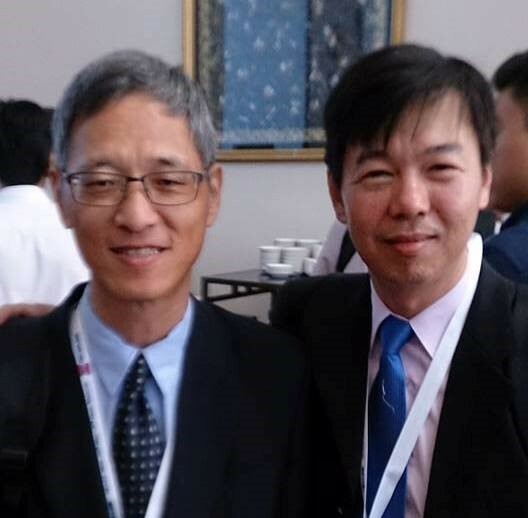 Dr. Za Chieh Moh and Dr. E.W. Brand actively participated in the 3rd Asian Regional Conference held in Haifa, Israel in 1967. 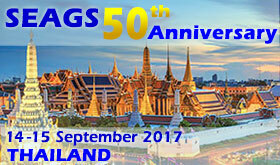 The 4th Asian Regional Conference was hosted by the Society in Bangkok in 1971. It was one of the most successful Asian Regional Conferences and was attended by over 500 participants. Drs. Za Chieh Moh, E.W. Brand and A.S. Balasubramaniam attended the 5thAsian Regional Conference held in 1975 in Bangalore, India. 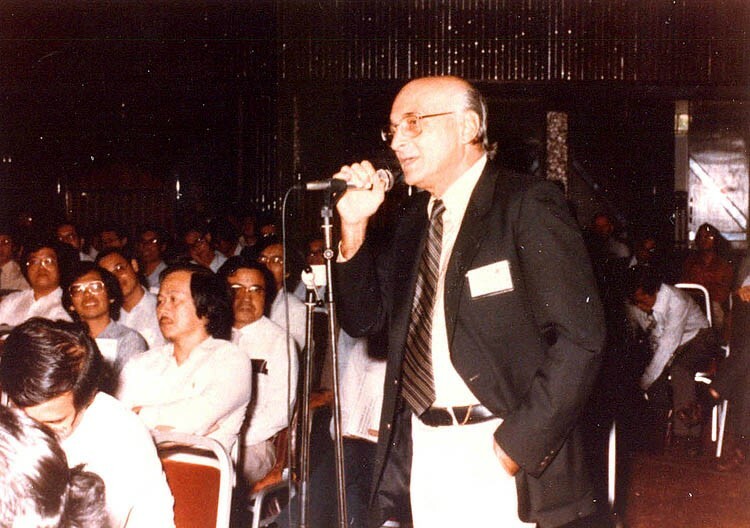 The 6th Asian Regional Conference on Soil Mechanics and Foundation Engineering was held in Singapore in July 1979. Dr. Tan Swan Beng served as Chairman of the Organizing Committee. Prof. Peter Lumb and Prof. A.S. Balasubramaniam attended the 7th Asian Regional Conference on Soil Mechanics and Foundation Engineering held in Haifa, Israel in 1983. Representatives from SEAGS were also sent to attend 8th Asian Regional Conference held in Kyoto, Japan in 1988. 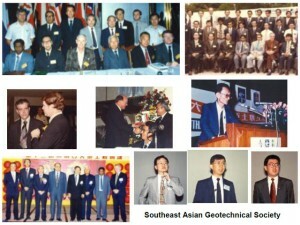 Subsequent Asian Regional Conference (9th ARC) hosted by SEAGS-AGSSEA were held Bangkok, Thailand in 1991. Other Asian regional conferences include 10th in Beijing, China in 1995; 11th in Seoul, Korea in 2000; 12th in Singapore in 2003; 13th in Kolkata, India in 2007; 14th in Hong Kong 2011; and 15th in Fukuoka, Japan in 2015. Several prominent personalities of SEAGS have participated/or will participate in these Regional Conferences. Special mention refer to the Asian Regional Conference in 1991 which was held in Bangkok with Prof. A.S. Balasubramaniam as Chairman of the Organizing Committee and with SEAGS as the host Society. 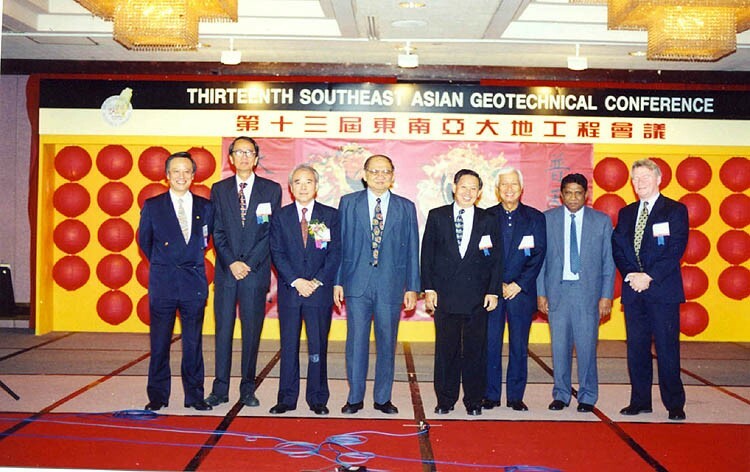 The next ARC was held in Singapore in 2003 with SEAGS once again as the host Society. This ARC was actively organized by Prof. S. L. Lee, Prof. K. Y. Yong, Assoc. Prof. C.F. Leung, and many other prominent SEAGS members in Singapore. The Society members also have participated actively in the International Conferences organized by ISSMFE/ISSMGE. Dr. Za Chieh Moh, Dr. E.W. 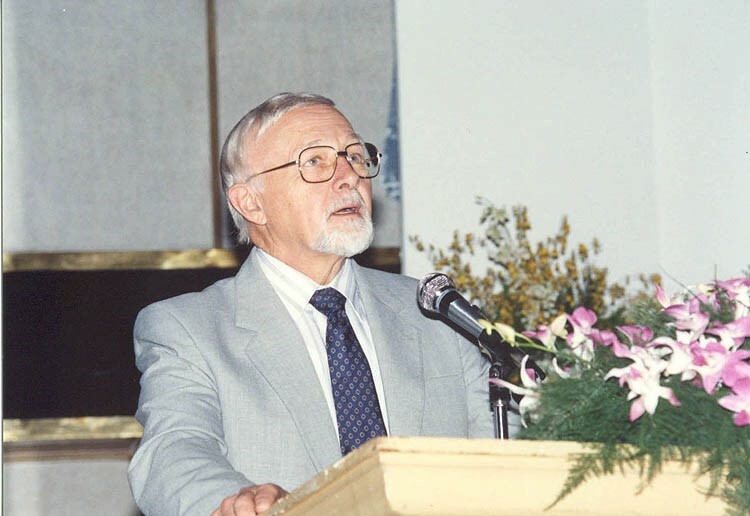 Brand and Dr. John D. Nelson attended the 7th International Conference in Mexico City in 1969. Dr. Za Chieh Moh was also the Chairman of a Specialty Session on Lateritic Soils. The two volume Proceedings of that session continue as a useful reference on the engineering behaviour of laterites. Society members also participated in the International Conference held in Moscow in 1973. Prof. Chin Fung Kee, Dr. Za Chieh Moh, Dr. E.W. Brand and Dr. John D. Nelson attended and presented papers at that important conference. 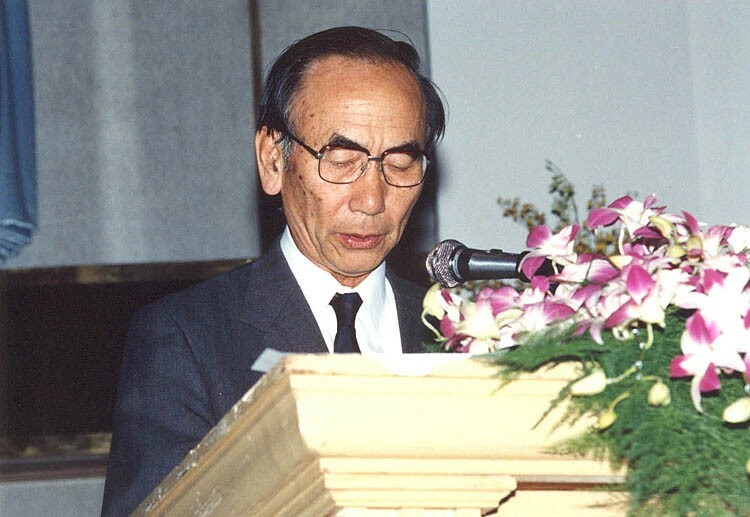 In the 9th ICSMFE held in Tokyo in 1977, Dr. Za Chieh Moh served as the Chairman of the Specialty Session on Geotechnical Engineering and Environmental Control. Prof. Peter Lumb and Dr. A.S. Balasubramaniam were panelists in the Main Session on Slope Stability and Stress Deformation of Soils. In the 10th ICSMFE held in Stockholm in 1981, Dr. Za Chieh Moh served as Chairman of the Session on Environmental Control and Dr. A.S. Balasubramaniam and Dr. E.W. Brand served as panelists. In the 11th ICSMFE Dr. E.W. Brand served as a Theme Leader in the San Francisco Conference in 1985. 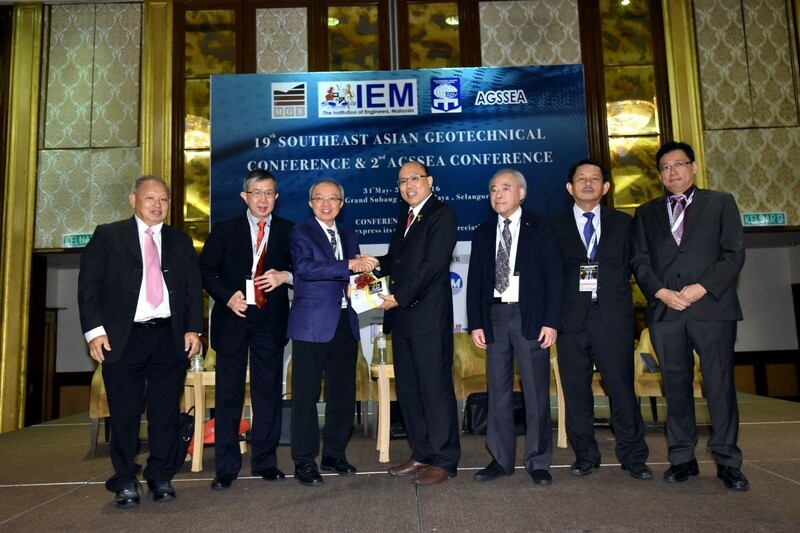 Dr. Ooi Teik Aun attended the 11th ICSMFE as SEAGS Council member. Dr. Za Chieh Moh, the founder President of the Society served as the Vice President of ISSMFE for the period 1969 to 1973. The Society is fortunate to have Prof. Chin Fung Kee serving as the Vice President of ISSMFE from 1981 until the San Francisco Conference in 1985. Prof. A.S. Balasubramaniam served as Vice President for IAEG from 1978-1982 and Vice President for Asia of ISSMGE from 1994-1997. 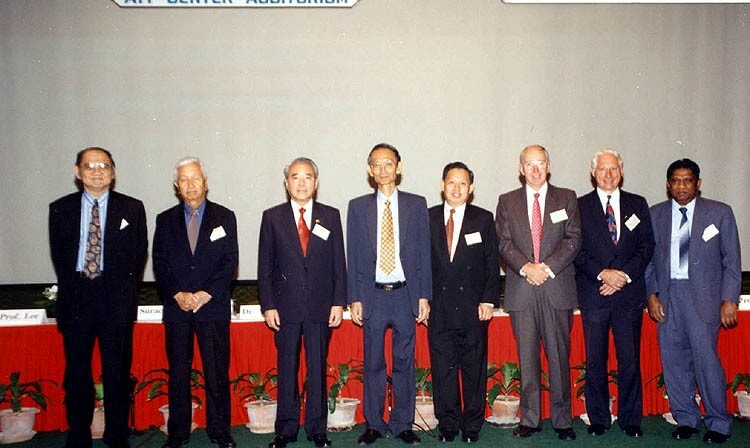 Dr. Ou Chin Der served as the Vice President of International Society of Rock Mechanics from 1995 to 1999. The valuable contributions received by the Society from these Vice Presidents are gratefully acknowledged. 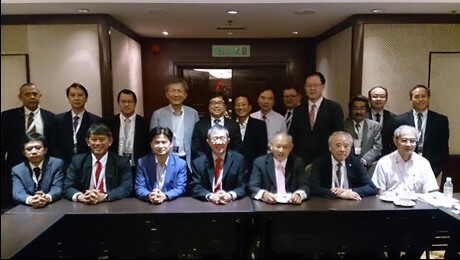 The Southeast Asian Geotechnical Society has always valued the attendance of its office bearers at the Executive Committee meetings of ISSMFE, IAEG and ISRM. 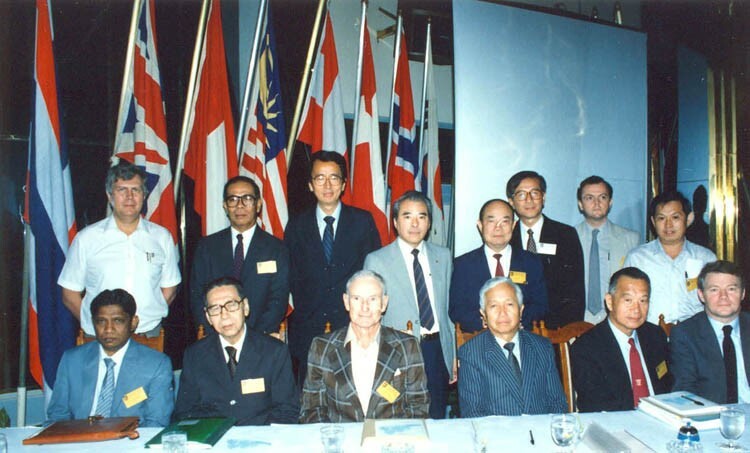 Dr. Za Chieh Moh attended the Executive Committee meeting in Tokyo in 1977 as the Vice President of ISSMFE for Asia and the Stockholm meeting in 1981 as the Chairman of an ISSMFE Subcommittee. 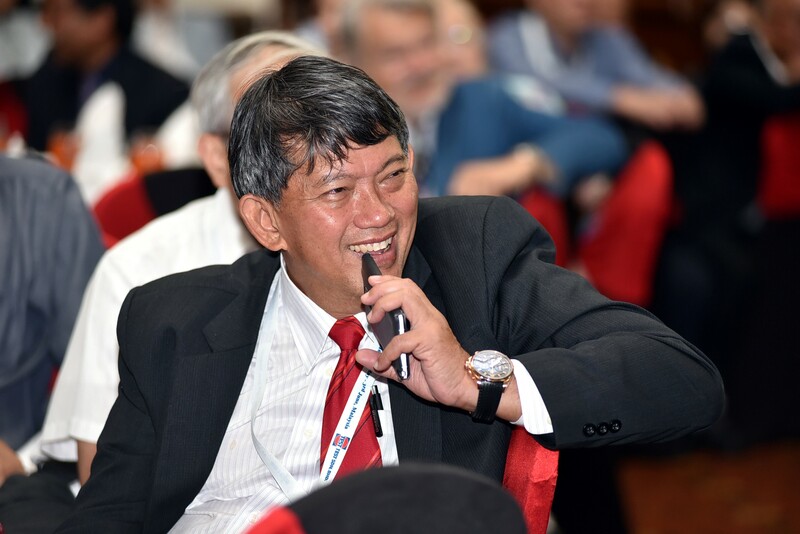 Prof. Chin Fung Kee has attended several of the Executive Committee meetings of ISSMFE since he became the Vice President of ISSMFE for Asia in 1981. The expenses related to the attendance of the Executive Committee meetings are not borne by our Society nor ISSMFE, IAEG or ISRM. In addition to the active participation of the Society in the Regional and International Conferences, Society members also have taken an active role in the work of the various committee of ISSMFE. Among various committee that the Southeast Asian Geotechnical Society has sponsored is the ISSMFE Technical Committee on Sampling and Testing of Residual Soils. This covered the period 1981 to 1985. The Chairman and Secretary of this Technical Committee were Dr. E.W. Brand and Mr. H.B. Phillipson respectively, both of the Geotechnical Control Office, Hong Kong. The main work of the committee was to publish a volume entitled Sampling and Testing of Residual Soils – A Review of International Practice. This contains state-of-the-art reports from 18 countries and has proven to be a valuable reference for engineers concerned with residual soils. In addition to the regular Society conferences, symposia and courses, a number of interesting topics have been organized by AIT in association with the Society. These symposia have now become very popular because of their direct relevance and usefulness to practicing engineers. 9. Symposium and Specialty Session on Mass and Material Transportation in December 1984.